Last month , a large portion of the mid-East was in the grip of a cold spell.The Jan map indicates this. The severe cold had affected the entire Sindh region ,Gujarat and northern coastal Maharashtra to a major extent. 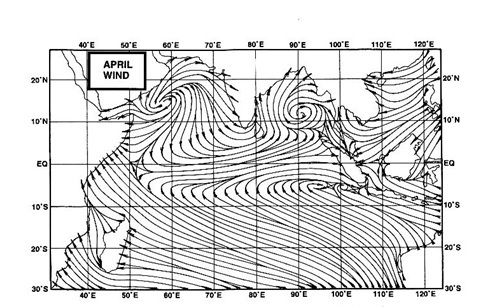 The reason , as explained in my previous blog, were the strong northwesterlies. The other regions in the grip of the cold are seen in this map . Quite a large area wa s in the grip. Though abated from the Maharashtra region, night temperatures are still 3/4 c below normal in Gujarat. (Rajkot at 9.5c is 4 below). However, the intensity of cold still prevails to a greater extent in Rajasthan, Delhi and Punjab. It was 3.2 (-8c) at Jaipur and 4.5c at Palam with Amritsar the lowest in the plains at -1.1c (all temperatures on 14th.) Further north, in Kashmir , Pahalgam was -16.2c and Srinagar -6.4c on 13th. The winds having changed direction now, with the passing of the W.D. the cold from the northern areas should abate in a day. Day temperatures can rise a bit sharply in Gujarat and Maharashtra within a few days. The precipitation in the south and east coast will fizzle out in aday. The upper air circulation over south Maharashtra can give very light rain in south Maharashtra and north interior Karnatak and Goa, but only for a day on 15th. With no major system expected till at least the 20th., dry weather can be expected in most of the country from the 16th. to 20th.